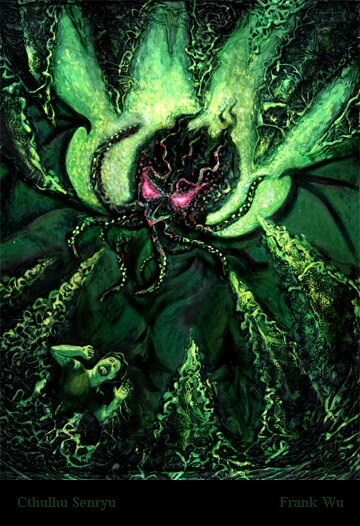 Cover for the chapbook "Cthulhu Senryu," wacky H.P. Lovecraft-inspired haiku, by Nick Mamatas. The model is BNF (big name fan) Tom Galloway, who purchased the painting at Baycon 2005. This piece was done in the same "bumpy" style as I'd earlier done the "Derelict" painting.